What if I told you you could cut your cooking time in half? 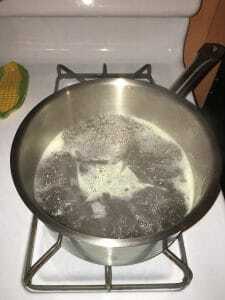 Now that I have your attention 😉 I am thrilled to be reviewing Turbo Pot Cookware! Turbo Pot is an all new high-quality cookware that heats up twice as fast as regular cookware. How does it work? Well, typically on gas stoves, hot air escapes from under the side of the pot, reducing heat transfer, which slows your cooking. 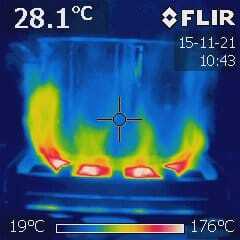 Turbo Pot has added metal fins onto the bottom of the cookware to increase heating surface area. As a result, the Turbo Pot’s advanced heat sink technology captures more heat, reducing energy waste, and it helps preserve nutrients in food that can sometimes be lost in the cooking process. 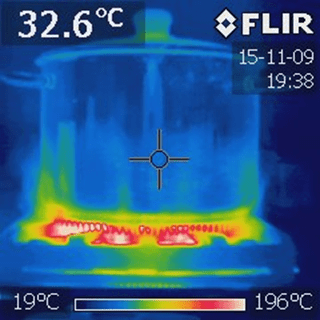 A regular pot’s heat distribution. Their high performance fry pan provides unparalleled power with extremely even simmering and precision heat control. The pan’s highly efficient heat transfer delivers the heat you need in a near instant – giving you the ability to sear and caramelize like a professional chef. The revolutionary design virtually eliminates “hot spots” across the surface area of the pan that would normally lead to burned or unevenly cooked food. Due to the highly effective heat transfer of the pan, you DEFINITELY need to start cooking at a lower burner setting. I recommend taking a moment to familiarize yourself with the vastly improved heat-up and response rates before you cook a “real” meal. The Turbo Fry Pan was the best non-stick pan I have ever used. 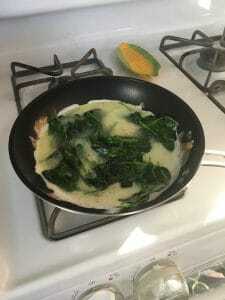 Everything I made: chicken breast, scrambled egg, and spinach omelet, came off easily with minimal cleanup. It cooked evenly and perfectly every time I tried it. Similarly, their Turbo Sauce Pan literally eliminates the phrase, “a watched pot never boils”. It boiled so quickly during my meal prep that I actually had to turn it off because I wasn’t ready for it yet and it was at a full boil! Made out of high quality 304 stainless steel, aluminum heat sink base, hollow handle to keep cool, and shock resistant tempered glass lid, this is a must-have addition to your kitchen. The folks at Turbo Pot would LOVE to give 3 Boys and a Dog readers a coupon to use when ordering. Use 3boys15% to take 15% off your order! What will you cook turbo-style today?